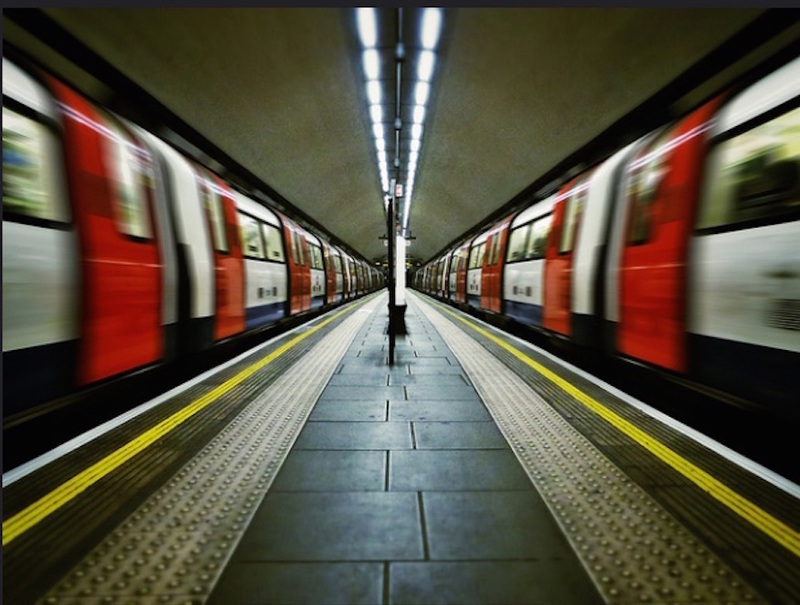 Are You Travelling On London's Most Apologetic Tube Line? City AM Are You Travelling On London's Most Apologetic Tube Line? London's tube system may be renowned for its jazzy signage and clever map, but to those who use it every day, it's also well known for its frequent delays. Now a website has been launched to count the number of times London's tube lines apologise to customers on Twitter as they are stranded or forced to go out of their way to combat signal failures or delays. 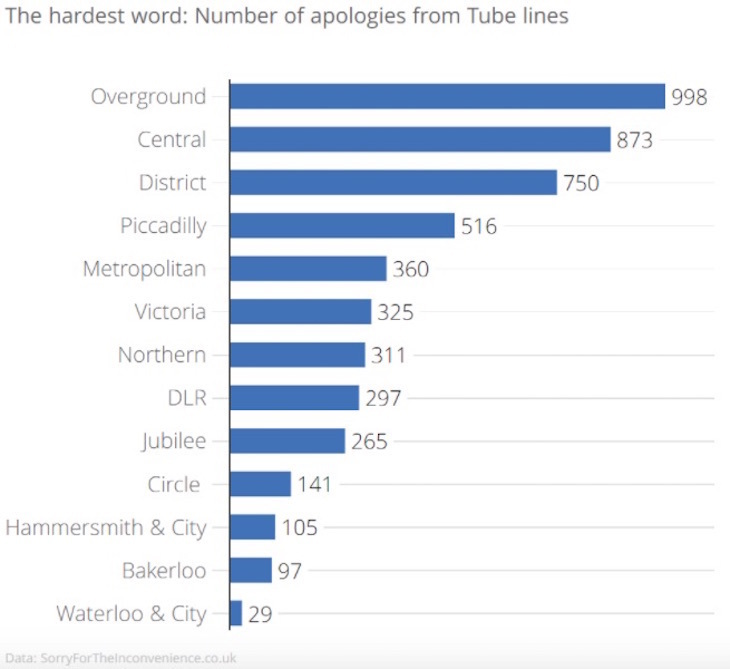 SorryForTheInconvenience.co.uk counts the number of times the capital's transport providers — including tube lines, train operators, bus operators, tram operators and airlines — say "I'm sorry" to passengers. At the top of the list is the London Overground, which at the time of writing had apologised to customers 998 times this year, with its apologies averaging out at four a day. That was followed by the Central line, which had said sorry 873 times, or three times a day; and the District line, which had apologised 750 times, or three times a day. 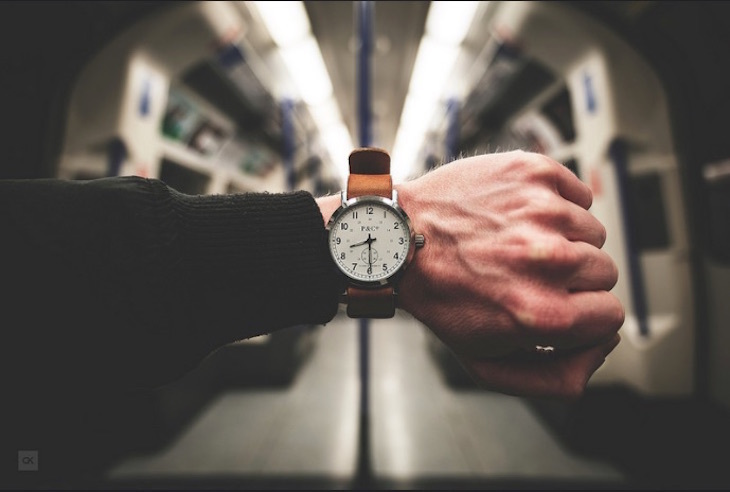 In 2015 a freedom of information request by City A.M. revealed the Central line was the most delayed tube line, with 5,535 delays between April 2014 and April 2015, followed by the Jubilee line, with 4,041 delays. The total number of delays experienced by each line hit 28,371. At the time, a TfL spokesperson said the London Underground had made reliability its "top priority". This article originally appeared on City A.M.